Venice is one of the most romantic cities on earth. Imagine cruising to your ceremony in a gondola along the Grand Canal, or having your photograph taken in the Piazza San Marco in front of the beautiful Basilica. And when it’s time for an after-wedding party, you can delve into Venice’s history of intrigue and decadence with a masked ball, complete with classical music and gorgeous decorations. The possibilities for a wedding photographer in Venice are exciting, which is why the city is one of our favourite locations to shoot. Over the years, we have helped many couples commemorate their special day in the city’s magical settings, finding the perfect light and angles to combine the exotic beauty of the city with the charisma of the bride and groom. 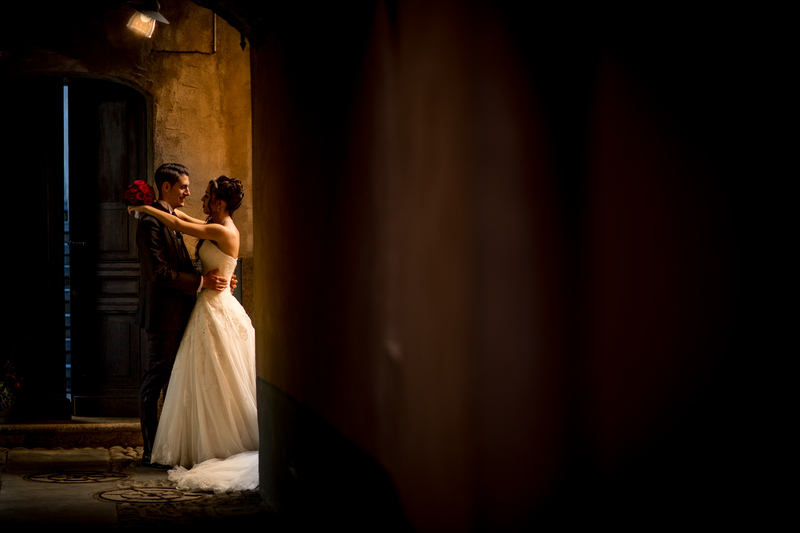 We will be happy to do the same for you if you choose Nicola Nesi to be your wedding photographer in Venice. From start to finish, we can work together to create a portfolio of stunning images featuring the city’s most famous sights. For instance, we can capture you crossing the Rialto Bridge or find a quiet portion of the Riva Degli Schiavone to capture you walking next to the canal. We can take snaps of you on a gondola with the island of San Giorgio Maggiore in the background, or stay on dry land to use the evening light in the Piazza San Marco to its full advantage. Every location can fit into your wedding schedule and we can be totally flexible about how many photographs you need and where you shoot. Afterwards, we will deliver a selection of photographs for you to choose the best ones, before adding them to a digital or print album that will keep the moments alive forever. So, if you are tying the knot in the Queen of the Adriatic, we would love to be your Venice wedding photographer. Get in touch today and we’ll start planning right away. Are you looking for a Wedding Photographer Venice?